Explore Jaffna – the city of vibrant culture, carefully preserved for generations, waiting to be discovered. 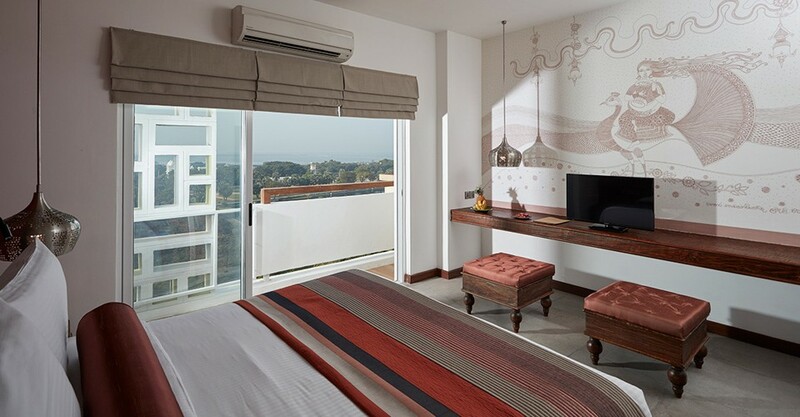 For your comfortable stay, Jetwing chain of hotels has opened its doors in Jaffna, providing first class facilities, themed rooms and an energetic team of staff. Just 15 minutes walking distance from the Jaffna train station, the central location of the hotel is ideal as a base to explore the town, the Fort and the rest of the peninsular. This seven story white walled building is the tallest amongst other low-rise structures in Jaffna. 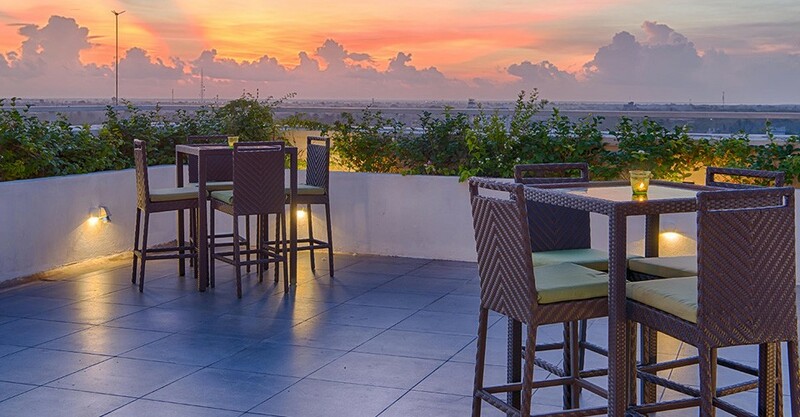 Designed in a fashion to reflect the city’s northern character, Jetwing Jaffna is the smartest hotel in town with comfortable rooms, a stylish restaurant and personality infused staff. 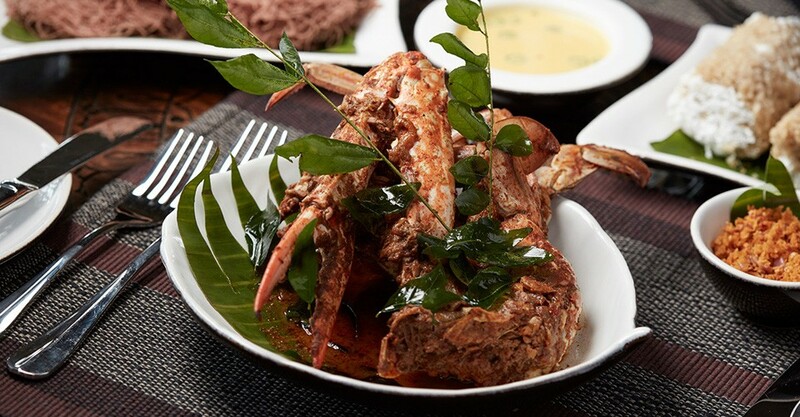 The restaurant specializes in South Indian Tamil cuisine, with the crab curry, breakfast thosai, mutton biryani and seafood soup being amongst the favorite dishes. 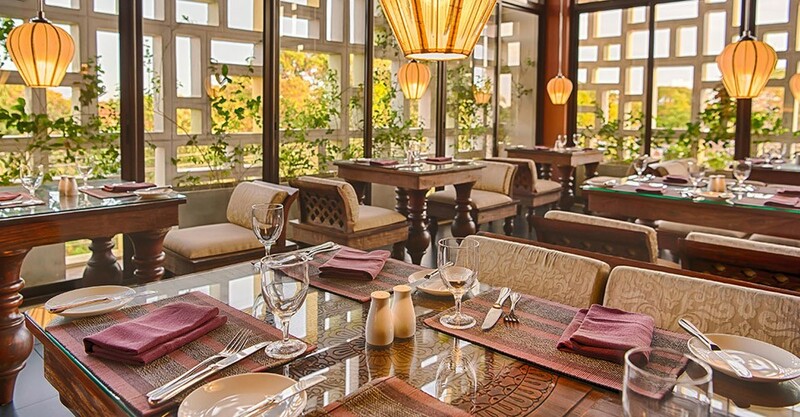 Alongside the restaurant is a bar serving some world renowned and locally savored range of drinks. 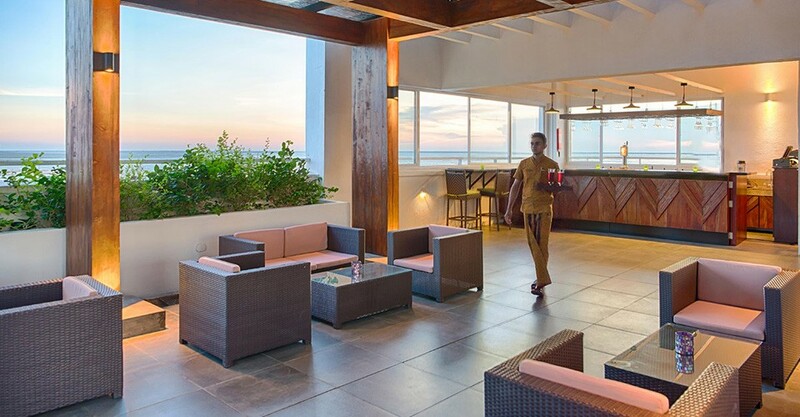 For a sunset or late night starlit cocktail, head towards the rooftop bar for a relaxing experience and panoramic views. 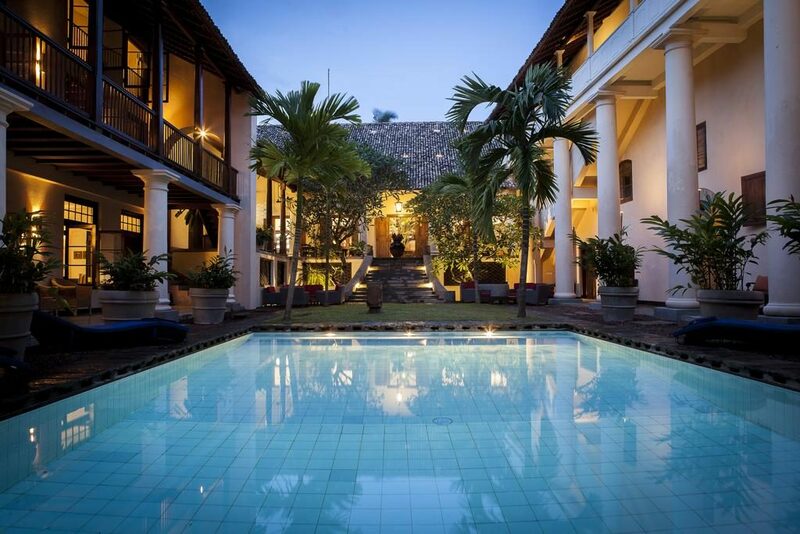 The hotel offers 55 rooms of the same category, cleverly designed to reflect traditional Jaffna style homes, equipped with furnishings of rustic northern colors. Walls are decorated with traditional art, exhibiting stories of the region’s history. Due to the height of the building, each room’s private balcony offers unmatchable views of the city, lagoon and the land beyond. The rooms are configured on double and twin basis, as per guest requirement. 3 rooms are facilitated for differently abled guests and 5 rooms are interconnected for the convenience of larger groups.